We’ve all had one of those days when we’ve decided to give up productivity and succumb to the temptation of Netflix. If you’re looking for a TV series to satisfy your craving for a relaxing day off, we’ve got you covered. Any one of the shows below can keep you entertained for an entire day or more of continuous watching. This Netflix original series fits right into the Marvel movie canon made up of favorites like Iron Man, The Avengers, and Guardians of the Galaxy. Compared to the movies of the MCU, Daredevil strikes an entirely different tone, making it more of a gritty crime thriller than a happy-go-lucky tale of heroism. Excellent character development, beautiful cinematography, editing, and fight choreography, and a plot full of cliffhangers make this series ideal for a weekend of binge watching. For the more dedicated binge-watcher, New Girl is a comedy series made up of six seasons. The plot of the show is largely situational, and focuses on the adventures of the “new girl” Jess who’s just moved into an apartment with three guys. All of the characters are funny and play off of each other in hilarious ways, and the relationships that arise feel totally genuine. You’ll be invested enough to keep watching back-to-back for days at a time. You’ve probably heard of Joss Whedon’s misunderstood classic that was canceled before its time, but have you watched it yet? Firefly is a little heavy on the exposition in episode one, but quickly picks up after that. If the sci-fi setting and special effects don’t grab your attention, the great writing and characters certainly will. An action-packed space western like no other, you should definitely put this show at the top of your binge-watching priority list. Get a taste of what life is like inside a prison by watching Orange is the New Black. This Netflix original series is now in its sixth season and is ideal for anyone who craves that little bit of humor and drama in their lives. Criminals turn into much-loved characters in this realistic, highly-praised and engrossing show. The inmates feud, fall in love and form allegiances as they get on with their inhibited lives behind bars. It doesn’t get realer than this TV show. Now we’re getting into serious binging territory. House is eight seasons of medical drama delight, filled with mysterious ailments, volatile relationships, and battles against the clock. Dr. House is good at what he does, but doesn’t have the best bedside manner. Hopefully his team can keep him in line and help him save some lives. Finally, for the lightweight bingers out there, we have the BBC series Sherlock, starring Martin Freeman and Benedict Cumberbatch. Each of the 12 episodes in this series is like a self-contained movie, with a two-hour mystery plot that is solved by the end of the episode. At the same time, a larger overarching plot featuring Sherlock’s nemesis Moriarty, not to mention a few cliffhangers, keep you craving more after each episode. The characters are well-defined and there are even laughs to be had. You’ve seen Sherlock and Watson before, but never quite like this. 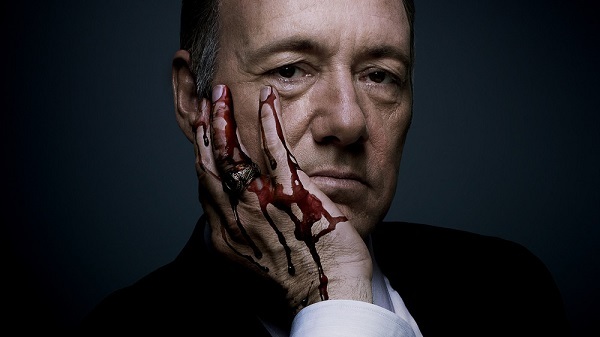 There’s no denying that House of Cards is one of the best TV series on Netflix right now. Get engrossed in suspense, shock and political drama as you follow a Congressman and his wife who are out to get revenge on those who betrayed them. If this show’s high score on IMDB (9/10) doesn’t appeal to you, then maybe its strong cast will. House of Cards features none other than Oscar winner, Kevin Spacey, who gives a spectacular performance as Frank Underwood. This binge-worthy Netflix original series will have you hooked from the get-go and leave you wanting more after each episode. A lesser known but extremely well-reviewed TV offering on Netflix, Better Off Ted is a comedy series that is as difficult to summarize as it is funny. Set in a wacky R&D department of a power-hungry corporation, this series pits Ted (the straight man) against genius but gullible scientists, a heartless but hilarious boss, and every other obstacle that arises when your company creates products outside the normal standards of ethics. The characters will have you cracking up so hard, you won’t be able to help watching episode after episode. If you liked Daredevil, you love Jessica Jones. Taking place in the same New York neighborhood where the events of Daredevil unfolded, Netflix’s second collaboration with Marvel sees smart and strong superhero, Jessica solving crimes. Throw yourself into the entire 13 episode season, we promise you won’t be able to get enough. Prepare for some 80’s nostalgia! Stranger Things takes you back to the iconic decade where horror and sci-fi movies were at their peak. Inspired by similar movies from that era, the thrilling television series centers around the friends and family of Will Byers– a young boy who’s suddenly gone missing. Supernatural and strange things occur leading many to believe Will has been taken by something beyond their reach. Things get more interesting when Will’s mom uses Christmas lights to communicate with her missing son and his friends befriend a young girl with superpowers. 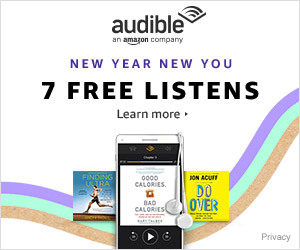 You’ll be hooked within minutes. Put Stranger Things on and find out what everyone’s been talking about! Delve into the life of Frank Castle, a soldier turned vigilante who’s on a mission to avenge the death of his entire family. Frank proves he’s more than just human as he takes out enemy by enemy, ensuring they die brutal, painful and stomach-clenching deaths. Prepare for bloodshed, battles and loads of binge-watching. Episode after episode, The Punisher promises an adrenaline rush like no other. He may be an anti-hero but Frank Castle certainly has a place in our hearts. In fact, he might just be our new favorite Marvel character. Hannah’s just killed herself and left behind 13 tapes. Each tape reveals one of the people involved in her death, including Clay, her former crush. Why is he to blame? Why are her 12 other “friends” responsible for taking her own life? Hannah opens a can of worms about her high school friends in a show that openly explores the subject of suicide. Find out what really goes on in the life of a troubled teen throughout this hit Netflix series. We promise you’ll be gripped with every episode, eager to find out why Hannah, the seemingly happy girl, killed herself. Find out what goes on behind the closed doors of the British Monarch and truly get to know Queen Elizabeth up, close and personal in this detailed and intimate Netflix series. Lifting the lid on all the royal affairs, The Crown follows the Queen throughout the height of her reign and gives us an authentic insight to the family’s everyday lives and politics. This addictive and dazzling historic drama will have you hooked whilst sipping on tea and biscuits in no time. There’s no shortage of good TV series on Netflix in every genre. It wasn’t easy picking just a few for this list. Other awesome shows that didn’t make the cut include Agents of S.H.I.E.L.D., Buffy the Vampire Slayer, Arrested Development, and Supernatural. 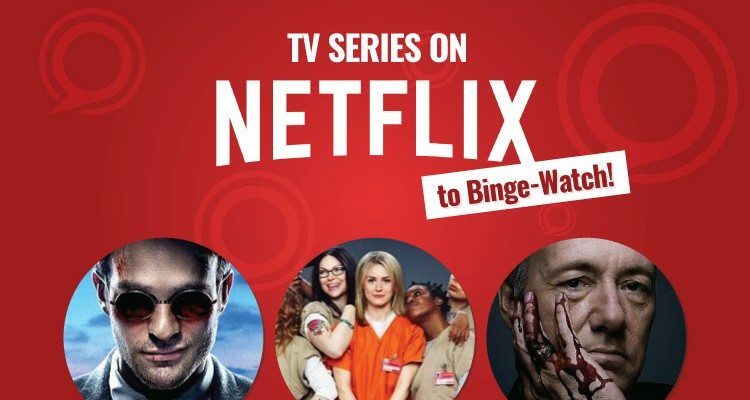 If you’re looking to get addicted to more brilliant television shows, check out our list of popular TV shows that will have you hooked. 25 Best ‘Stranger Things’ Characters, Ranked! Kasey Rubenstein is a freelance writer and a film buff. Her favorite travel destination is Japan, her favorite movie is Scott Pilgrim vs. the World, and her favorite superhero is the Flash. You can find more of her writing under the guise of her alter ego, Girl In Cape.